Obituary for Joyce Woods | L.E. 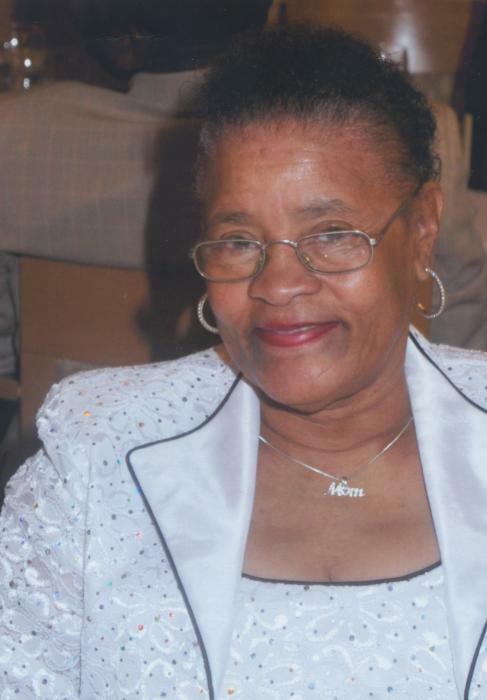 Black, Phillips & Holden Funeral Home Inc.
Services will be 11:00am Saturday March 30, 2019 at the Salvation Army Chapel, 1501 Glenwood Avenue for Mrs. Joyce Woods who passed away March 19, 2019 at St. Elizabeth Boardman Campus. She was born March 17, 1940 in Struthers a daughter of Robert and Julia McCormick White. She had been employed in the Food Service Industry. She loved being with her family and grandchildren, playing cards, board games, doing puzzles, computer games and traveling. She leaves to cherish her memories, her children, Morgan Sinclair of Durham, N.C., Jacqueline (Richard) Smith of Canton, OH, Jesse (Tangie) White of Clinton, MD, Vickia Dimbo of Brook Park, OH and Antonio Woods of Cleveland, OH; four brothers : Clair “Timmy” White of Springfield, OH, Robert “Bobby” White of Youngstown, OH, Ronald (Ella) White of Chula Vista, CA and Anthony “Tony” White of Youngstown, OH. ; two sisters Judy “Peaches” White and Darla Jean Trailer of Youngstown, OH; twelve grandchildren and a host of great-grandchildren; a brother-in law James Horton of Chula Vista, CA. Besides her parents she was preceded in death by two sons, Eddie White and Anthony Woods; two sisters Roberta Horton and Regina Williams; a brother Clyde White and his wife Barbara and a granddaughter Sharon White. Friends may call one hour prior to the services from 10-11:00am at the Salvation Army Chapel. Arrangements were entrusted to L.E. Black, Phillips and Holden Funeral Home..